Sissy Frissys Is A Great Shop To Help Get Your Business or Shop Going With Banners, Business Cards, Web Designs & More! Sissy Frissys Has Tons Of Designs/Themes! I Loved This One The Moment I Saw It! She Customized This Business Card Just For Me! I Love To Bake & Lately I Have Been All About The Cake Pop Craze! 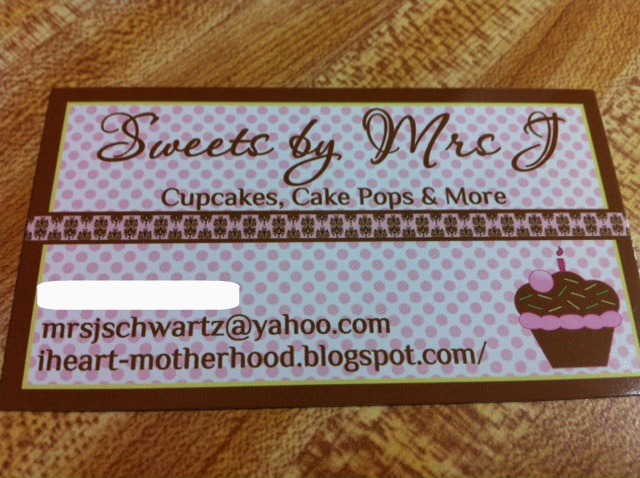 So Thanks To Sissy Frissys I Have Adorable Business Cards To Hand Out & Get My Business Growing! I Did Hide My Phone Number, For The Moment I Am Only Doing Local Orders! If I Can Figure Out A Way To Safely Ship Cake Pops, I Will Expand Than! 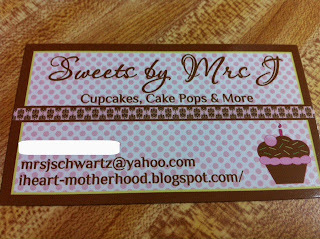 Thanks Sissy Frissys For The Adorable Business Cards! Be Sure To Stop By & Say Hi! Tell Her I Sent Ya!